MormonInfo.org - Discussion - Was C. S. Lewis a Crypto-Mormon? 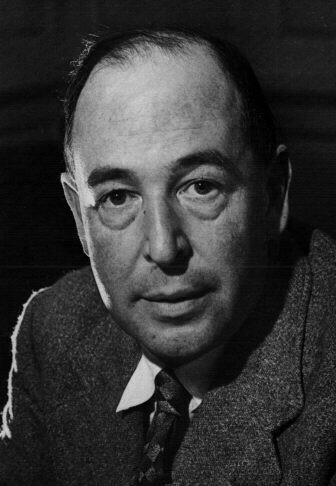 Many LDS writers have been fascinated with C. S. Lewis to the point of making him an "honorary member" of the LDS Church. A recent article stated, "Lewis wrote about the nature of God and how man's ultimate potential is to become like deity, something that seems to resonate with LDS audiences." To LDS, this means that we can become gods like our God is a God for us. In his book, The Mormon Faith: A New Look at Christianity, BYU’s Robert Millet claims that Lewis taught this LDS deification doctrine (176). Nathan Jensen’s "The Restored Gospel According to C. S. Lewis" has the following as a book description: "C.S. Lewis had no substantial contact with members of the LDS Church, yet he has filled his writings with precepts and doctrines that are not only true, but are unique to the restored church." However, in the Mormon journal Dialogue, Evan Stephenson was clear: "In C. S. Lewis, Latter-day Saints do not find a unique figure who mirrors their own theology" ("The Last Battle: C. S. Lewis and Mormonism," 30, no. 4 [Winter 1997]: 69). Since Mormons distort the central doctrines of the Christian Faith, it should come as no surprise that they also distort the work of Lewis. "Lewis was aware of the Book of Mormon and assumed Joseph Smith wrote it" (Ostling, Mormon America, 308). It's also clear, in contrast to Mormonism, that Lewis was a monotheist. His doctrine of deification was consistent with the monotheistic doctrine found in Eastern Orthodoxy and the Church Fathers. Becoming gods is quite different from the only God who is God by nature. Thus, for Lewis, God is a totally different one of a kind species--Creator of literally everything outside Himself. He is not human by nature. If we become "gods," we are still dependent humans by nature. Finally, for Lewis, the Son is a one of a kind species--the only begotten God (i.e., God by nature). Lewis affirmed the creedal distinction between "Making and Begetting" (cf. Book IV chapter I of Mere Christianity). The Son was begotten, not made as we are. As for the LDS Word of Wisdom (health code that expressly prohibits, among other things, "wine"), C. S. Lewis said, "I do however strongly object to the tyrannic and unscriptural insolence of anything that calls itself a Church and makes teetotalism a condition of membership. Apart from the more serious objection (that Our Lord Himself turned water into wine and made wine the medium of the only rite He imposed on all His followers), it is so provincial (what I believe you people call 'small town'). Don't they realize that Christianity arose in the Mediterranean world where, then as now, wine was as much part of the normal diet as bread? It was the 17th Centruy Puritans who first made the universal into a rich man's luxury" ("The Quotable Lewis," 577). "Rob, I think that what you are saying is exactly what lds doctrine teaches. Ether 3 succinctly describes the Mormon view on who Jesus was prior to being born of Mary. He was a God prior to his mortal life. Furthermore regarding mormons view on deification, it is no more clearly explained then in the book of revelations chapter 3. For example verse 21 states that, "To him that overcometh will I grant to sit with me in my throne, even as I also overcame, and am set down with my Father in his throne."